Over the weekend, 40 Computer Science undergraduate students from all years at Cardiff University got their teeth stuck into a real-life brief set by Cardiff technology group Inspiretec. 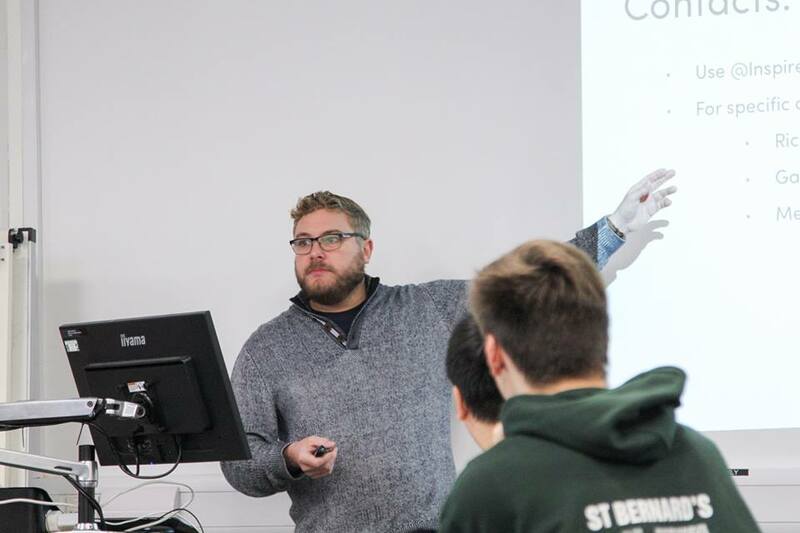 Organised by the Cardiff University Computer Science Society, the challenge was designed to bring undergraduate students together to focus on using their skills to address a real-life business challenge. The challenge was completed during a fixed 36-hour period, using just the students’ imagination and the resources of the internet. First thing on Saturday morning, Group Sales & Marketing Director Richard Baker set the task of creating a tool that will help improve a travel experience. The students representing first, second and third years, were split into teams to tackle the design and build of anything that could help travellers anywhere on the pre, during or post-trip phase. On Sunday afternoon, the teams, having worked on their ideas all weekend, presented their ideas to Inspiretec team members in a dragon’s den style panel. Winners took home a prize and also won automatic selection for the next intake of Inspiretec interns and graduate recruitment. The students came up with a diverse range of ideas, all of which used current thinking in terms of technical approach whilst maintaining a good end user experience. Concepts included a budget-driven search tool for student travellers, an app that helps you minimise jet lag and a website that helps you find other like-minded travellers to share experiences. One of the more avant-garde concepts featured a virtual Geiger counter that calculated, based on real-time flight telemetry data, the amount of cosmic radiation that each passenger is receiving at that very moment in time. Inspiretec’s response to the ideas, systems and applications presented by the Cardiff-based students are further testament to the technical and creative skills nurtured in Wales.